“The Jihad is now against the Shias, not the Americans,” The Guardian, 13 January 2007, http://www.guardian.co.uk/Iraq/Story/0,,1989397,00.html?gusrc=rss&feed=1 (from Digg). In spite of his trecherous, appeasing incompetence over the last three years, even George W. Bush couldn’t screw up the Iraq War too badly. Another insurgent commander told me: “At the beginning al-Qaida had the money and the organisation, and we had nothing.” But this alliance soon dragged the insurgents and then the whole Sunni community into confrontation with the Shia militias as al-Qaida and other extremists massacred thousands of Shia civilians. Insurgent commanders such as Abu Omar soon found themselves outnumbered and outgunned, fighting organised militias backed by the Shia-dominated security forces. We can admire our enemy in Iraq, just as we can admire our enemies from decades ago. But should as it would have been idiotic to join the Axis powers in 1945, because of their fighting spirit, so it would be insane to stab our allies ni the back in order to save the Iraqi Sunni Arabs. Barnett, T.P.M. (2006). Treating Iran as a logical swing asset. Thomas P.M. Barnett :: Weblog. January 10, 2007. Available online: http://www.thomaspmbarnett.com/weblog/2007/01/treating_iran_as_logical_swing.html. Great piece by Luttwak exploring how sometimes (in Iraq) we need to be pro-Shiia and not be afraid of making Sunni states nervous and sometimes (in Lebanon vis-a-vis Syria) we need to be pro-Sunni and not worry about making Shiia leaders (Syria, Iran) nervous. Now, where Luttwak doesn’t go is where I’m dying to go: play Iran more as a scary balancer. The more we dialogue (none yet) with Iran on Iraq, the more we freak the Saudis and the easier it becomes to splinter Syria because we’re basically playing prisoner’s dilemma with both Damascus and Iran–as in, who’s gonna bite first because we’ll go harder on the other next. I agree completely, and back in August I wrote that a Shia Iraq and a Sunni Syria are exactly what we need. Keep the Big Bang moving. Support Democracy in the Middle East. Support a Shia Iraq, and a Sunni Syria. “A Mixed Story,” by Juan Cole, Informed Consent, http://www.juancole.com/2005/01/mixed-story-im-just-appalled-by.html, 30 January 2005 (from tdaxp). “Groceries and Election Results…,” by river, Baghdad Burning, http://riverbendblog.blogspot.com/2005_02_01_riverbendblog_archive.html#110872871401791299, 18 February 2005 (from tdaxp). “A Defeat for the Iraqi Constitution Is a Victory for Iraq,” by NYkrinDC, New Yorker in DC, 16 October 2005, http://nykrindc.blogspot.com/2005/10/defeat-for-iraqi-constitution-is.html. “Call for Shiite Autonomy as Iraqi Tribal Chiefs Meet,” by Karnal Taha, AFP, 26 August 2006, http://news.yahoo.com/s/afp/20060826/ts_afp/iraq_060826112717 (from Democratic Underground). Then thereâ€™s Abdul Aziz Al-Hakim, head of the Supreme Council for the Islamic Revolution in Iraq (SCIRI). He got to be puppet president for the month of December and what was the first thing he did? He decided overburdened, indebted Iraq owed Iran 100 billion dollars. I’m just appalled by the cheerleading tone of US news coverage of the so-called elections in Iraq on Sunday. I said on television last week that this event is a “political earthquake” and “a historical first step” for Iraq.It is an event of the utmost importance, for Iraq, the Middle East, and the world. All the boosterism has a kernel of truth to it, of course. Iraqis hadn’t been able to choose their leaders at all in recent decades, even by some strange process where they chose unknown leaders. Yet in spite of hope that terrorist minorities would defeat the democratic process, SCIRI and its Shia-Kurdish partners (mainly Dawa, the Kurdish Democratic Party, and the Patriotic Union of Kurdistan) established a Constitutional Democracy in Iraq. At the same time Saturday one of Iraq’s most influential politicians called for the vast and oil-rich Shiite region south of the capital to become a self-governing area stretching from the holy city of Najaf to the port of Basra. Abdel Aziz al-Hakim, head of the Supreme Council for the Islamic Revolution in Iraq (SCIRI), said a referendum should be called in the region to endorse a breakaway, an idea which is fiercely opposed by Sunni leaders. The reason is obvious: the American military has been more interested in appeasing terrorists than supporting democracy. Instead of recognizing that our enemies come from a violent minority that has no interest in democracy, we subvert democracy. We should celebrate when the Kurdish North and Shia South liberate themselves from their former terrorist masters. We should embrace those who kill terrorists instead of attacking our natural allies. Support the Iraqi struggle against terrorists. Support the dismemberment of Iraq. Syria, while ruled by a national-secularist regime, is a client state of Iran when it comes to foreign policy. At the time of the Iraq War Lebanon was ruled as a colony by Syria, and so is also included. The origin of the Damascus-Tehran axis comes from both geopolitical necessity (Iraq was ruled by the territorially expansive Saddam Hussein) and natural sympathy (Syria, while mostly Sunni, is ruled by the quasi-Shia quasi-Muslim Alawite sect). 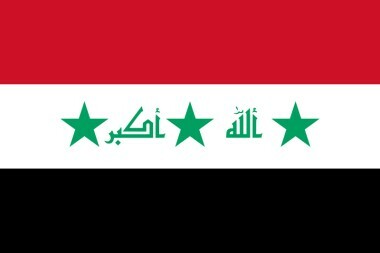 The Iraq War changed the region by throwing Iraq, a mostly Shia country, to Iran’s influence. Despite American attempts to contest Iraq, the natural sympathies of the Iraqi Shia combined with the violent nihilism of the country’s Sunni Arab population all but assure an orientation toward Tehran and Qom. A natural consequence of the liberation of Iraq is Shia assertiveness in East Arabia. East Arabia, the oil producing region of Saudi Arabia, is populated by Shia who suffer under the Riyadh-Wahhabi yoke. Iranian instigation of the local population, as seen in the recent “pro-Hezbollah” (actually, pro-Iran) rally, may blackmail the Kingdom of Saudi Arabia away form American influence and to a subject’s embrace of the Shia hegemon. Even the “Big Iran” scenario of the first map is a major improvement from the Arab National-Secularist sewer that existed before President Bush. But a democratic, rational Middle East still lays before us. “Iraqi Shiism could topple the mullahs,” by Cameron Khosrowshahi, International Herald Tribune, 24 March 2005, http://www.iht.com/bin/print_ipub.php?file=/articles/2005/03/23/opinion/edkamran.html, (from American Future). Rather than worrying about Iran’s influence over Iraq, we should be harnessing the strength of Iraq’s newly empowered Shiites against the regime in Iran. Grand Ayatollah Ali al-Sistani, the spiritual leader of Iraq’s Shiites, is cut from a different cloth from the ruling clerics in Tehran. He is of the quietist tradition, which holds that mosque and state should be kept separate. There are already profound roots for this philosophy within Iran itself. It was the conventional thinking among the religious authorities of my grandfather’s era and was the norm until Ayatollah Ruhollah Khomeini politicized Iranian Shiism. A major artery of information flow and exchange has existed between the two countries for centuries. As Iraq’s democracy and civil society stabilize, more and more Iranians will travel to Najaf and Karbala as pilgrims and seminary students. The Iranian state can restrict movement, what its people say, read and write, and what they see and hear on radio, TV and the Internet. But it will never be able to curtail their right to perform the pilgrimage to Iraq, which is a religious duty. The ideas these pilgrims take back with them to Iran could be the beginnings of an authentic counterrevolution against the tyranny of the mosque. Sistani’s religious credentials and learning dwarf those of Ayatollah Ali Khamenei, his counterpart in Iran. There are many Iranians who would rather listen to the Iranian-born Sistani if he chooses to speak to them. Moreover, his call to freedom will be couched within a language they understand, that of tradition and religious scholarship. The Iraq War is the engine for peaceful regime change in Tehran. The Shia are the natural allies of freedom. And everything else I have been saying for months. “In Mideast, Shiites May Be Unlikely U.S. Allies,” by Robin Wright, Washington Post, 16 March 2005, http://www.washingtonpost.com/wp-dyn/articles/A38296-2005Mar15.html (from Barnett). I guess this makes it love. A quarter-century after its first traumatic confrontation with the Shiite world, when the U.S. Embassy was seized in Iran, the United States is moving on several fronts to support, recognize or hold out the prospect of engagement with Islam’s increasingly powerful minority. The White House is now counting on a Shiite-dominated government to stabilize Iraq. In a tactical shift, the United States is indirectly reaching out to Iran, backing Europe’s offer of economic incentives to get Tehran to surrender any nuclear weapons program. I’ve been blogging on forcing common interests with Iran for a while. The WashPost takes a different angle: the Shia are forcing common with the U.S. Who seduced whom is an interesting question, but decreasingly important for this couple. When Bush began Shia, a democratizer met a democratic movement. And in Lebanon, President Bush suggested yesterday, Washington might accept Hezbollah as a political party — if it renounces terrorism, as the Palestine Liberation Organization did in 1988. “I would hope that Hezbollah would prove that they’re not [a terrorist organization] by laying down arms and not threatening peace,” he said in a joint appearance with Jordan’s King Abdullah. Shiite extremism in the 1980s embodied the main terrorist threat to the United States, as Shiite groups in Lebanon blew up two U.S. embassies and a Marine compound, and later seized dozens of Western hostages. In Kuwait, Iraq’s Shiite Dawa movement simultaneously bombed the U.S. and French embassies as well as Western businesses. In Ba’athi Iraq the nation was run by a Sunni minority — today in Ba’athi Syria the state is controlled by the schismatic Alawite sect. A legacy of the Mandate System was rule by the few — Bush’s legacy will be rule of the many. “Shiite Rising,” by Christopher Dickey and Rod Nordland, Newsweek International, http://www.msnbc.msn.com/id/4340977/site/newsweek/, 1 March 2004. “Shiites See an Opening in Saudi Arabia: Municipal Vote in East Could Give Suppressed Minority Small Measure of Power,” by Scott Wilson, Washington Post, http://www.washingtonpost.com/wp-dyn/articles/A58262-2005Feb27.html, 28 February 2005 (from Crossroads Arabia through Liberals Against Terrorism). “Marginalized Shiites stand up to be counted in Saudi local elections: Clerics encouraging community to vote,” by Ali Khalil, AFP, http://www.dailystar.com.lb/article.asp?edition_id=10&categ_id=2&article_id=13012, 28 February 2005 (from Liberals Against Terrorism). Social unrest here has often been triggered by outside events, making Iraq’s recent elections particularly worrisome to Saudi leaders, who political analysts say opposed the U.S. invasion of Iraq partly because of its potential effect on this region. … forming a “Shia crescent”? The prospect of even incremental Shiite political gain has alarmed Sunni Muslim leaders across the Middle East, who fear that long-suppressed Shiite communities such as this one astride the kingdom’s lifeblood oil industry will push for an ever-greater role in government. Sunni heads of state have warned the Bush administration that the democratic reform it is encouraging in Iraq and Saudi Arabia could result in a unified “crescent” of Shiite political power stretching from here through Lebanon, Iraq and into Iran. Tell me those people, united by a sea, do not mind the violent intolerance of Wahabis in The Saudis’ Kingdom In Arabia or the Salafists in Iraq. Tell me that those people don’t know that the oil is under their feet and that the retrograde Sunni extremists are on the wrong side of history. “There is no particular Shiite interest in the municipal councils … There is national interest, and Shiites are part of this country,” the Dammam-based revered Shiite scholar told AFP. “Russia might build more reactors in China, Iran, India and Bulgaria,” Bellona, http://www.bellona.no/en/international/russia/nuke_industry/co-operation/36913.html, 17 January 2005. “Iran open to ties with U.S,” by Barbara Slavin, USA Today, http://www.usatoday.com/news/world/2005-01-31-iran_x.htm, 31 January 2005 (from Roth Report). “Walker’s World: The coming of the Shiite Empire,” by Martin Walker, World Peace Herland, http://www.wpherald.com/storyview.php?StoryID=20050131-025238-1302r, 31 January 2005. “Low-profile privatization not Iran’s only problem,” Iran Mania, http://www.iranmania.com/News/ArticleView/Default.asp?NewsCode=29289&NewsKind=Business%20%26%20Economy, 1 February 2005. I have previously written that “The shift of Iraq from a sun of a Sunni solar system to a satellite in the Shia sphere is stunning.” More news confirms a shia nova. The Sunni Arabs are alarmed at the rise of Shia Islam. Iraq provides the critical mass for a permanent Shia illumination of the world. At the same time other American policies are forcing Iran to behave responsible, slowly co-opting them in a partner for a connected world. And now the prospect of their dominance is sending shivers of alarm throughout much of the Sunni-dominated Arab world. 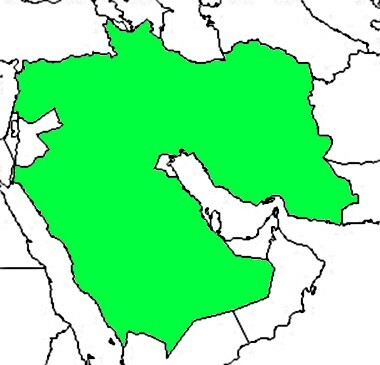 Jordan’s King Abdullah warned last month of the emergence of a “Shiite crescent” that ran from Iran, through southern Iraq and west through the Shia of Lebanon to the Mediterranean and south through the Shia of Bahrain and Saudi Arabia to the Persian Gulf. About 15 percent of the Saudi population is Shia, and they happen to live in the eastern provinces where most Saudi oil is to be found. Iraq’s mass increases the Shia Sphere’s gravity. It gives an alternative focus for Lebanon and Bahrain, as well as beginning the splintering of Saudi’s Eastern Province. Exactly. Iran is no longer embattled. They are no longer isolated by their religion. Instead, their faith draws them out to the world. In every way that Iraq is different, it provides another model for the Shia world. Open debate, democracy, an academic Shia hierarchy, and no net censorship reign in Najaf. Why not in Qom too? Alexander Rumyantsev stated this at his internet press-conference in the end of last year, ITAR-TASS reported. He believes Russia will get the opportunity after China, Iran, India and Bulgaria announce the international tenders for nuclear plants construction. â€In China â€“ several nuclear power units on the south of the country. Iran â€“ the second power unit at the Busher. India â€“ 40 power units. Bulgaria â€“ a unit at the Belina NPPâ€ Rumyantsev said. He said two Russian reactors would be put in operation in China this year and two more reactors are currently under construction in India. The co-operation with Iran depends on the settlement of its nuclear program with the world community, the head of Rosatom said. LONDON, Feb 1 (IranMania) – A senior economic official said the low-profile privatization program is not the whole of Iran’s economic concerns, stressing that there are many more dilemmas that have to be addressed prior to ridding the economy of state-monopoly. According to Fars News Aagency, Hamid Reza Baradaran-Shoraka, who heads the government’s key executive body, Management and Planning Organization, further told a gathering of senior officials of major state and private organizations that all the country’s economic problems have been blamed on slow privatization process. “Closed economy, unstable policies, unscientific management systems, lack of adequate assessment systems, etc, are some of many problems that have to be resolved before privatization,” he said, stressing, however, that the government has given top priority to implementing private sector empowerment schemes. Iran looks at the world, and sees what works. The disconnected Afghanistan of the Taliban was dissected with ease. Saddam’s isolationist policies made him a pariah of the world. And China is becoming great through its openness. How long before the Islamic Republic wants peace and friendship with the United States? Iran’s top national security official said Monday his government wants better relations with the United States, but he advised the Bush administration to stop threatening Iran and said his country will not yield to demands that it permanently stop its effort to enrich uranium â€” which the White House says is intended to make a nuclear bomb. We are winning. We destroyed the old order. We are rearranging the world in permanent way. We are unleashing connectivity and peace to lock-in peace. And we are doing this under a great President. What a beautiful day and what a beautiful Shia sun!